Hokuto Gekitsui Shi - Kenshiro strikes his opponent's forehead with four fingers. When he removes his fingers the opponent is left with 3 seconds to live. Hokuto Hachimon Kudan - A technique that induces eight sensations of pain, before the body dismembers into nine parts. This technique would have killed Jagi had it actually been used. Honsha Bakuretsu Ken - This is a simple attack wherein the user spins rapidly in a circle with their fists flailing into the multiple enemies surrounding them. This causes the adversaries to explode almost the instant they are hit. 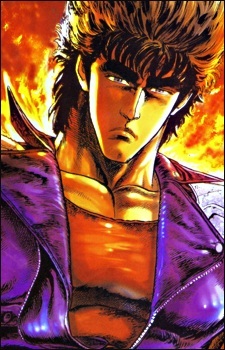 Hokuto Hyakuretsu Ken - Kenshiro's trademark technique; the one most frequently associated with him. 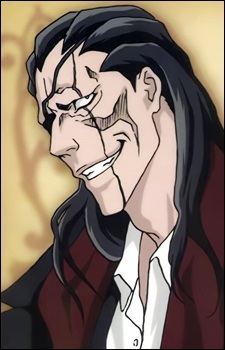 It is characterized as a strike of over a hundred blows, delivered at rapid speed to the designated 708 Keiraku Hikō (Pressure Points) on the adversary's body. Hokuto Retsu Kyaku - A variation of Hokuto Hyakuretsu Ken where Ken uses kicks instead of punches. Hokuto Kaikotsu Ken - Two fingers to the forehead; Skeleton rips itself out through body. Musō Tensei - The ultimate Hokuto Shin Ken technique, it allows Kenshiro to become one with the spirits of deceased fighters (To use their strength, and abilities) it also allows Kenshiro to pass through enemy attacks and deliver a fatal count attack. Seiei Kō - Kenshiro strikes his opponent's Ryugan, located in the chest. This causes the victim's body to become like a mass of bare nerves, causing extreme pain with the slightest touch. Hokuto Senjukai Ken - A more powerful and devastating version of the Hokuto Hyakurestu Ken, the technique increases the severity of pain by increasing the number of punches to one thousand. Hokuto Sōryū Ha - Both fists hit the chest and completely destroy the enemy. Tenha Kassatsu - Ki is expelled from the fingertips, which then pierces the opponents body in the shape of the big dipper, causing every pressure point to erupt. Tenryū Kokyū Hō - A method of breathing that allows the Hokuto Shinken practitioner to tap into their body's full potential. A normal human uses but 30% of their body's strength so Tenryū is used to tap into that other 70%. Hokuto Ujō Mōshō Ha - A final blow to the heart, transmits a tremendous shock of Tōki through the body, achieving immediate breakdown of the adversary's muscular system. Hokuto Zankai Ken - Kenshiro inserts his thumbs into the temples of his enemy. Upon removal of Kenshiro's thumbs the enemy is left with just three seconds to live. In these three seconds, Kenshiro advises them to meditate on the folly of their wicked ways, before being split in half vertically and exploding. Can easily read thought his opponents' attacks.